Lizzie has received the NAIFA Quality Award from the National Association of Insurance and Financial Advisors (NAIFA), the industry’s leading trade association. This is her seventh consecutive year achieving this honor. Elizabeth Dipp Metzger, founder and president of Crown Wealth Strategies, a comprehensive wealth strategies firm in El Paso, TX serving clients nationwide. As a Financial Professional, Lizzie provides clients with an integrated retirement and insurance strategy focused on maximizing value over the course of their lifetime. Lizzie’s focus is physicians, professionals, and business owners in the affluent market. Lizzie provides holistic strategies for retirement, college funding, business planning, and wealth accumulation. She has received the NAIFA Quality Award from the National Association of Insurance and Financial Advisors (NAIFA), the industry’s leading trade association. This is her seventh consecutive year achieving this honor. The NAIFA Quality Award recognizes insurance and financial advisors who demonstrate an exceptional commitment to excellence in service to their clients and industry. Candidates are evaluated based on their education and earned professional designations; commitment to quality service as exhibited through persistency and letters of recommendation; and dedication to their industry exhibited by their willingness to serve as NAIFA volunteer leaders and their stated commitment to NAIFA’s Code of Ethics; as well as their ability to meet production standards. Agents who win this award have tangible evidence signifying that the products they sell will meet with their client’s needs. Lizzie Dipp Metzger is a Financial Adviser offering investment advisory services through Eagle Strategies LLC, a Registered Investment Adviser. 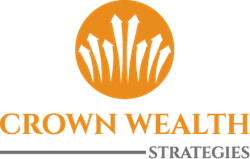 Crown Wealth Strategies is not owned or operated by New York Life Insurance Company or its affiliates.